These two! Where do I even start? 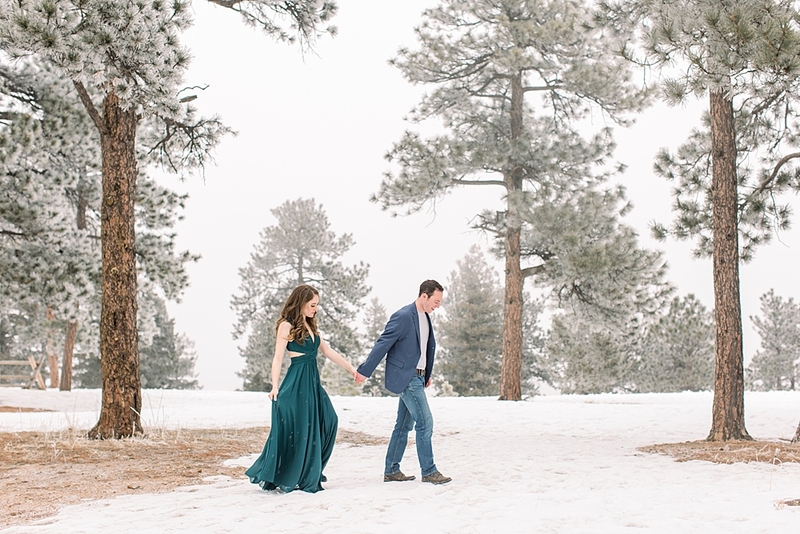 I adored them both from the moment I met them, and then I loved them even more when they were brave enough to venture outside with me on one of the coldest days of winter here in Colorado to get magical snowy mountain photos like these! 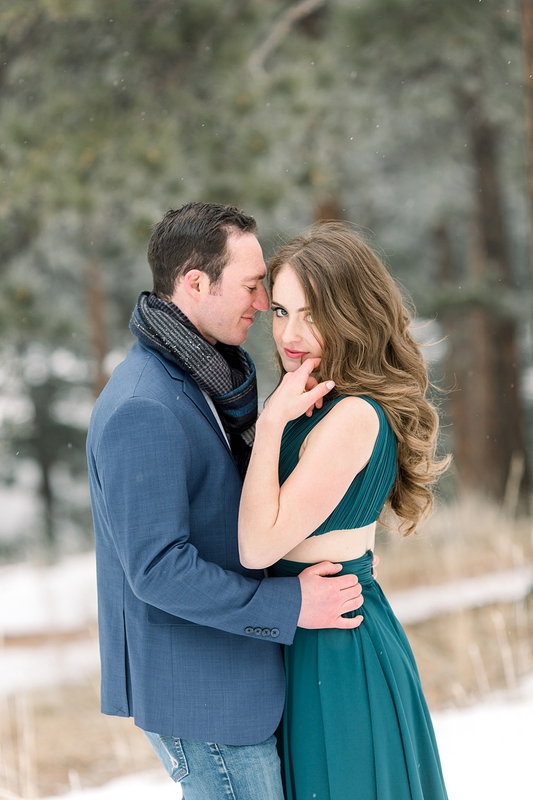 Remi and Joel are getting married exactly five years from the day they first met during freshman orientation at the University of Denver! During their first week at DU, Joel’s roommate was talking to Remi when he mentioned he’d lost a button off his shirt. Remi told him she could fix it, so a large group of new friends, including Joel, filed into her tiny dorm room while she sewed the button back on. Remi credits her mother for this first time meeting Joel, because not only did Remi’s mom teach her to sew, but she insisted Remi bring a small sewing kit with her to college. Little did Remi know that because of her mad sewing skills, she would meet her future husband! After Joel and Remi met that day in the dorms, they became best friends. 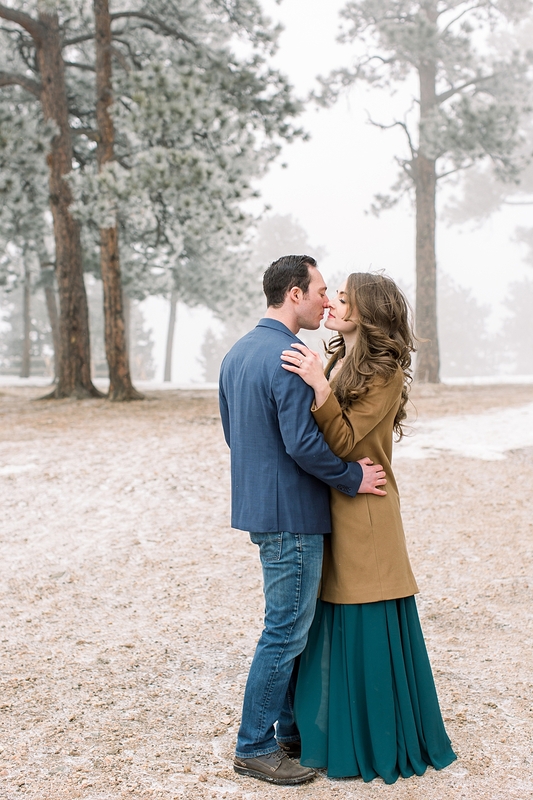 A year and a half later, they had their first date at Sushi Den, followed by sweet treats at Bonnie Brae Ice Cream. Remi thought the transition from friends to dating might be awkward, but they talked for three hours over dinner and it felt like only minutes! That’s one of the ways they knew it was meant to be. That — plus the fact that Remi’s parents fell in love with Joel even before she did! Joel is respectful, smart, and a good snowboarder — what more would a parent want for their daughter? When Remi called her parents to tell them she was dating Joel, her mother replied that she didn’t need to date him just because they thought she should! One of the reasons Remi and Joel became so close was because they absolutely looove to ski together! In fact, skiing continues to be a big part of their weekends during Colorado winters, and their dream trip is to go skiing together in Japan! Joel knew he wanted to marry Remi while she was studying abroad in Milan, Italy. He hadn't seen her in five months and realized he never again wanted to be apart from her that length of time. Remi knew Joel was the one after he saw some scars from a childhood surgery. She joked they were her best feature, but in truth, she had always been self-conscious about them. Joel not only thought they looked cool, but he admired how strong she was to have overcome so much! That’s when she knew he was the one. 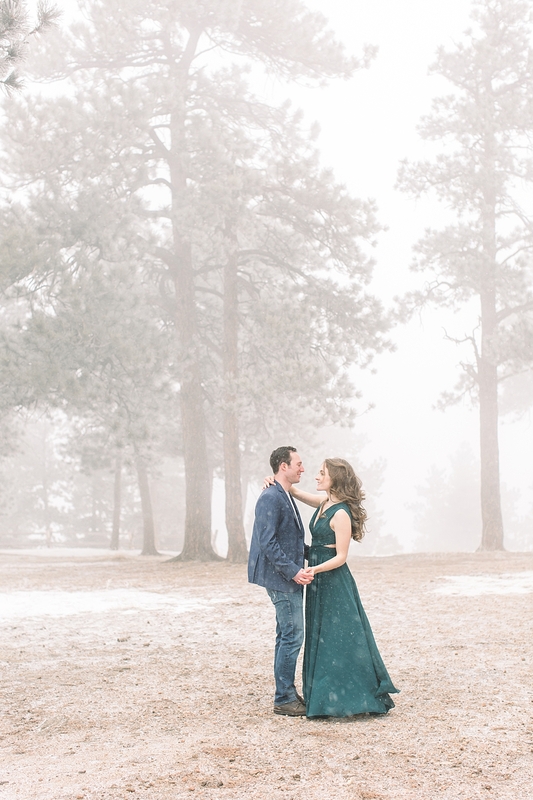 Joel proposed on January 4, 2019. 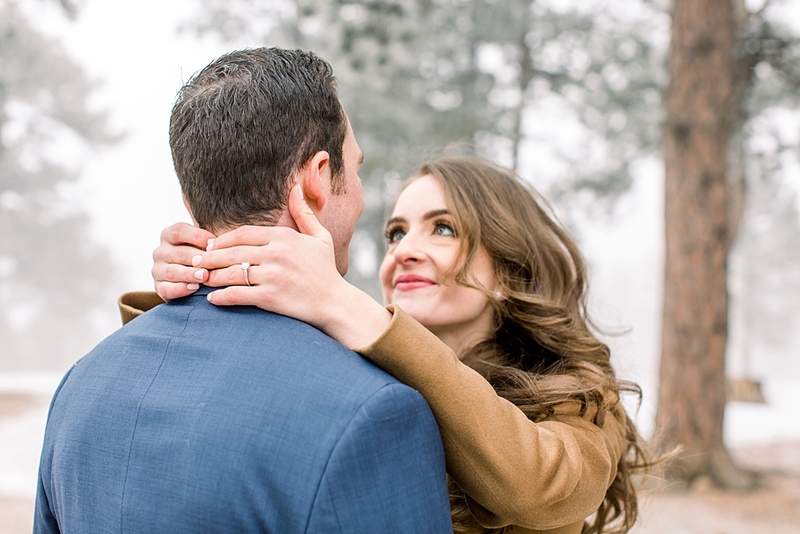 Since they’d had their first kiss in Beaver Creek, Joel decided Beaver Creek would be the perfect spot for a proposal. Joel schemed with Remi’s parents and persuaded them to invite Remi to a family ski weekend in Beaver Creek before her youngest sister went back to college. They nonchalantly told Remi she could invite Joel “if she wanted” (good thing she did!). On Friday morning, Remi’s parents brought up the idea of having a nice brunch with Joel's brother and sister-in-law (who live in Eagle) before hitting the slopes. As they were walking to brunch, Joel stopped to take a picture with Remi against a pretty Christmas village backdrop. 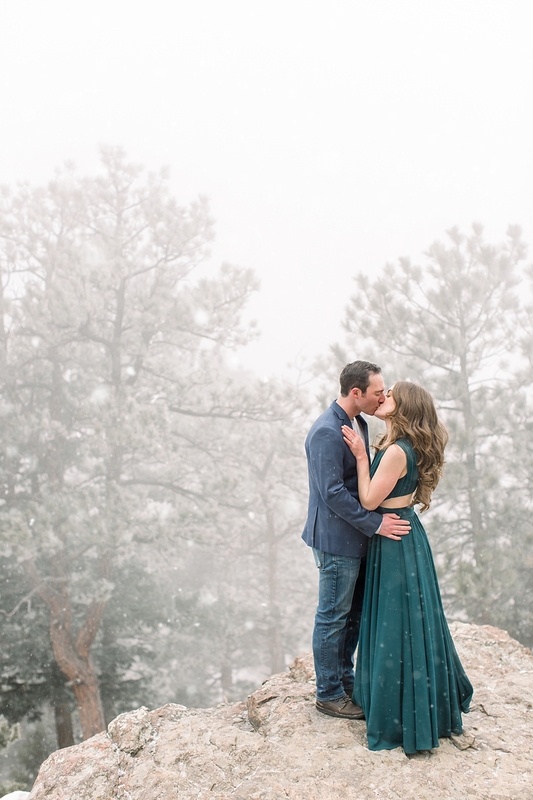 While she was posing for the picture, Joel got down on one knee and asked her to marry him. Remi was completely surprised! Her family knew the plan was going to go off without a hitch when she planned to wear her ski outfit to brunch. She couldn’t understand why her mom insisted she try on a little bit of her makeup and “do something with her hair” — after all, why would anyone get fancy for a ski day? Remi prides herself on being able to read Joel, so she couldn’t believe he was able to pull off such an elaborate surprise! It was so special for both of them and such a sweet part of their story. When I asked Remi what she most respects and admires about Joel, she said it is his ability to focus on the big picture and not worry about the details. As a detail-oriented planner, Remi finds it an absolute joy to be around someone who can remind her that she can’t plan every moment of her life — and that’s God’s plan for her life is bigger than her schedule.